In Albany 110 years ago a group of young college graduates were looking for a place to hang out. They wanted a space where they could get together for lunches or dinners, drinks and conversation. So they founded the The University Club. And well over a century later, the club is still going. 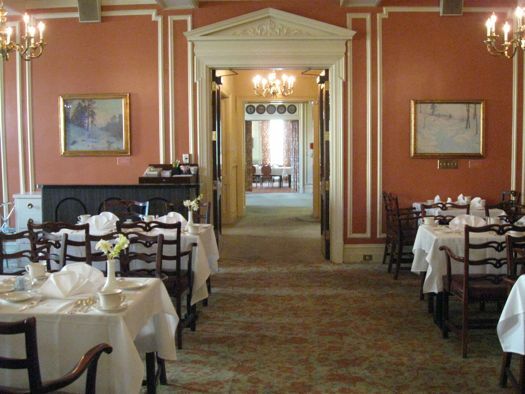 A few weeks ago, The University Club was named to the National Register of Historic Places. 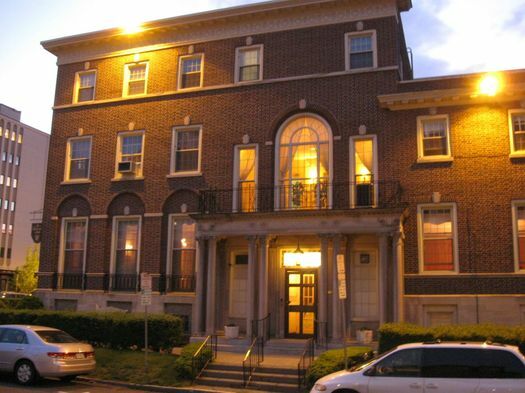 Other Albany buildings on that list include City Hall, Cherry Hill, the Ten Broeck Mansion, the Harmanus Bleecker Library and Albany Institute of History and Art. Newly-elected club vice president Colleen Ryan gave us the nickle tour of the club's historic building this week. 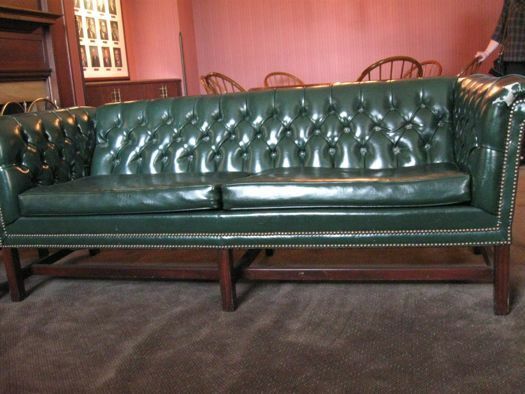 The University Club is old school. Really old school. 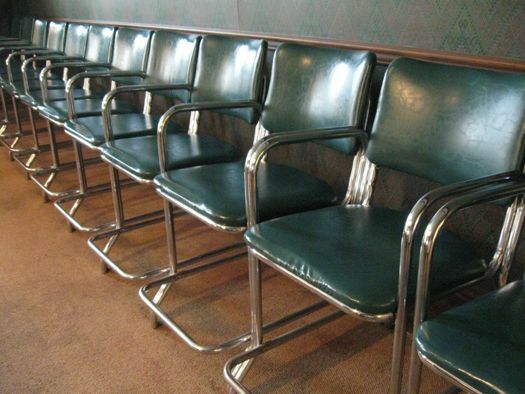 The feel of the place, the smell of it, the way the sun falls on the water glasses in the dining room, reminds you of the days when people drank Manhattans, men ordered for ladies, and families spent their summer vacations at Borscht Belt resorts. When we reached the dining room we were all, "Nobody puts Baby in the corner." 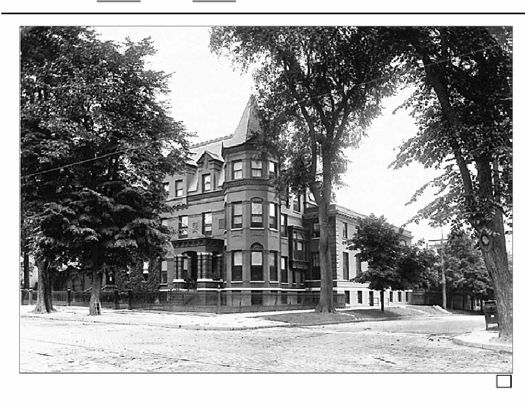 The original 1901 home of the University Club was a few blocks down Washington Avenue, across the street from The Fort Orange Club, where One Commerce Plaza now stands. Around 1907 the University Club bought the home of brewer George Amsdell -- a Victorian building at the corner of Washington and Dove Streets. The current home of the U-Club was built around 1925, after the Victorian burned down. The red brick Colonial Revival building, built by prominent architect Albert Fuller, is largely unaltered. The club's bowling alley (yes, there's a bowling alley) actually pre-dates the building -- it was part of an addition to the Amsdell House that didn't burn down. 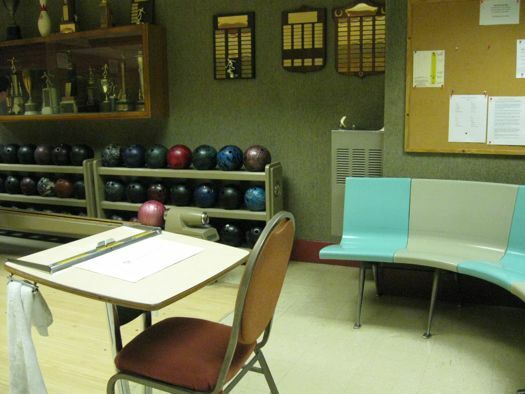 It's one of the oldest bowling alleys in the country and may be the oldest continuously-used private one in New York. There's more on the historic and architectural significance in the club historic registry nomination form. 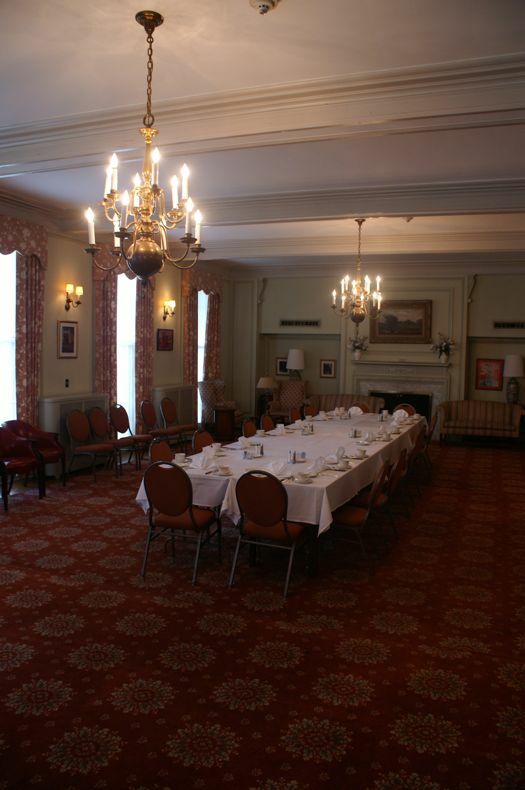 The University Club has entertained a long list of speakers including President William Howard Taft, Andrew Carnegie and several New York governors. Up a set of marble stairs from the street is the foyer. 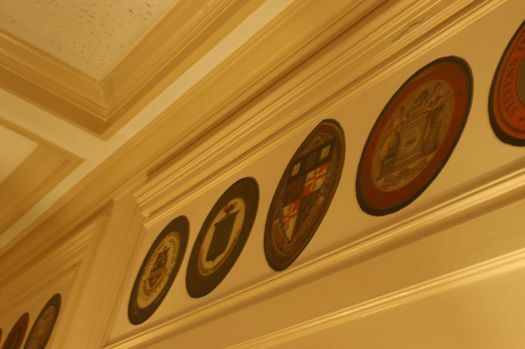 The walls carry the insignias of the alma maters of the University Club's founding members. 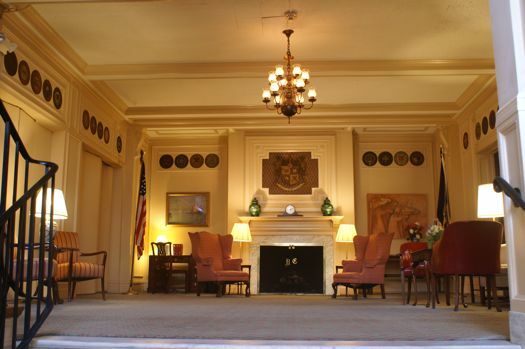 The club motto hangs over the fireplace. 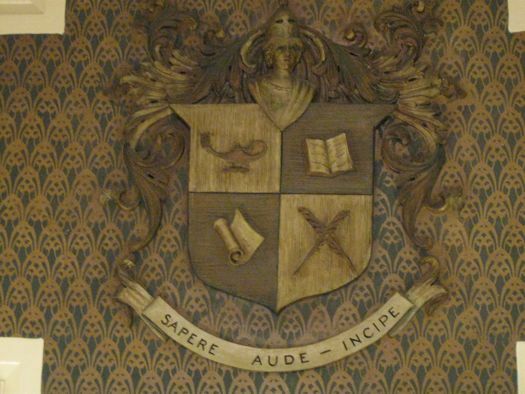 In case you're not up on your Latin, it reads: "Dare to be wise. Begin." Just to the left of the foyer is the parlor. 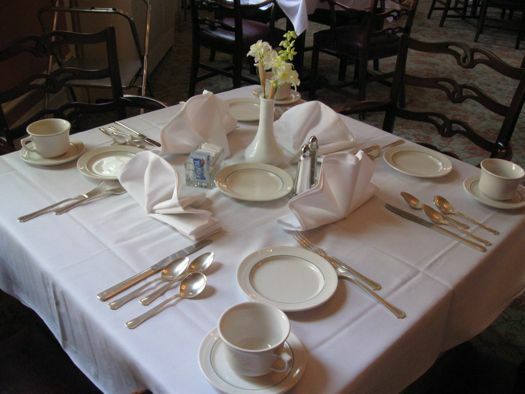 These two rooms are used for a number of luncheons and business and community meetings. 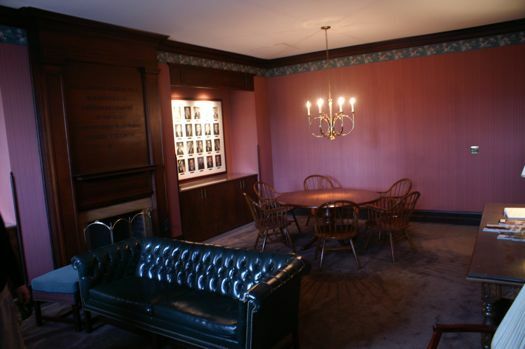 There was a meeting going on in the oak paneled Remington Room, so we couldn't get photos. 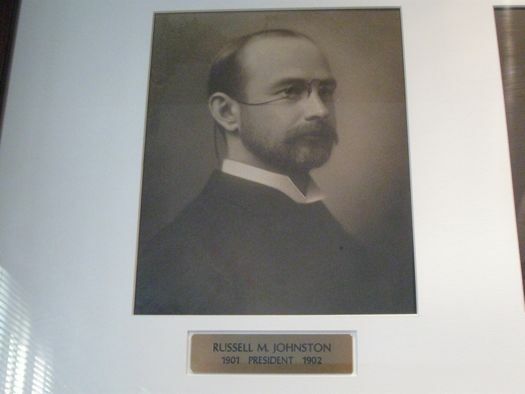 It's a small room named for artist Frederic Remington, a painter and sculptor. 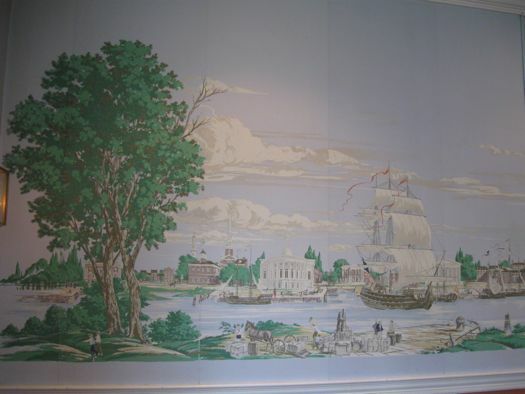 One of his paintings, The Lone Scout, was bequeathed to the club in the 1930s. It sold in 1998 for more than $1.5 million at auction. 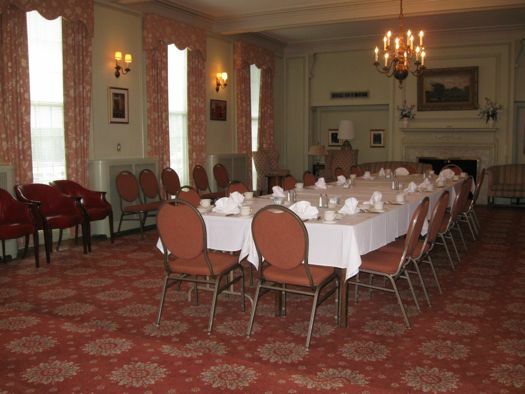 Another room used for small private parties and meetings. 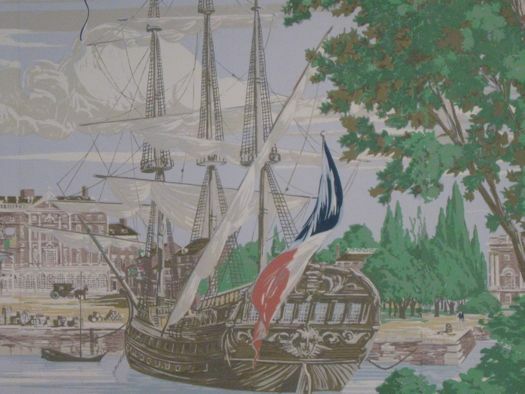 The wallpaper depicts Hudson River scenes. Back out in the foyer, the marble stairway brings you to the second floor, where there's a great view of the Alfred E. Smith Building. This was probably our favorite room, with chairs that remind us of a barber shop, dark green wallpaper, old cues and billiard balls. 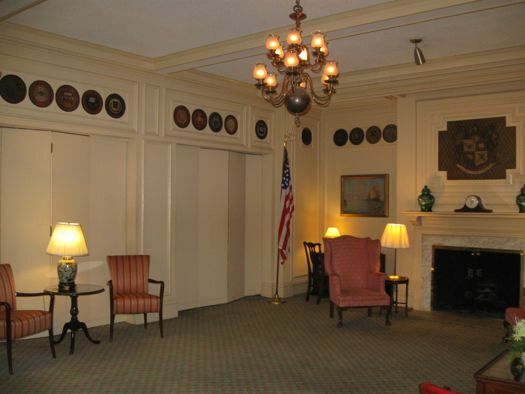 Photos of club officers overlook the upstairs lounge. This area is mostly used as a living room by the people that live at the club. There are 25 private rooms, most with a shared bath. Right now 21 of them are occupied by club members -- mainly legislators and high-level state employees. The rooms rent for about $400 a month. The old-school alley gets a lot of use. There are a couple of leagues, including a newly-formed neighborhood mixed league that's getting pretty popular. A few months ago, they held a Big Lebowski night, where they watched the Jeff Bridges movie, drank white Russians and went bowling. 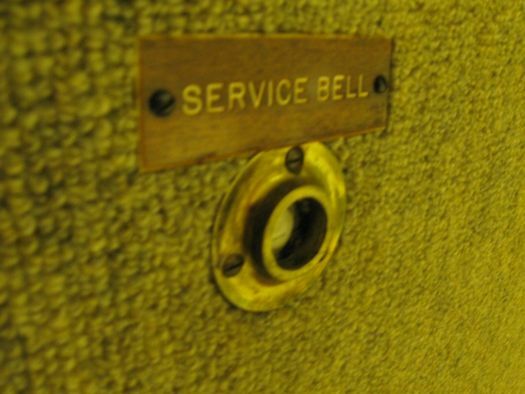 Ring this bell and someone will bring you beer. Really. "I'm not 'club people,'" says Colleen Ryan. "I wasn't raised this way, but I love this place." 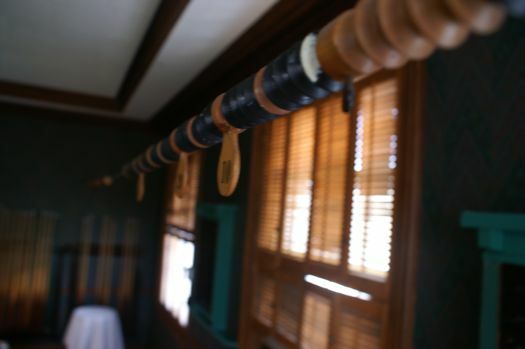 She says clubs like this one fell out of favor for a lot of reasons -- largely because lifestyles have changed so much over the last century. "Because people are working 24/7 and if you don't answer your crackberry right away you're just not a hard worker." So what can a city club offer people in an overworked, digital cable, Netflix, iPad, Wii-kind of world? 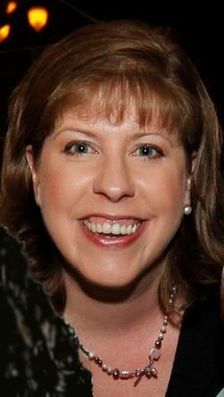 Colleen -- who, when she isn't at "her club," is communications director for the Preservation League of New York State -- thinks a place like The University Club is a great spot for people to come together and have conversations and find community. She says they're open to all kinds of new ideas and that they host events and there's wi-fi throughout the building. "It's a civilized place to go, where you don't have to fight your way to the bar, to the bathroom. People with kids bring their families to gatherings here -- whereas you might not bring your kids to an event at the bar. The place is really Mad Men-esque. It's that third place, the great-good place, the other place where I feel welcome, people know my name. For me it's a central location that's nice, pleasant and warm. When I want to have a business meeting or meet a friend, it's here." The community aspect is one part of the appeal, but Colleen says being a good steward for the space is important, as well. "Being a member is nice, but I just don't want to see the doors close on this place. I've always got emails going out and I'm always mentioning to people that we've got this going on or we've got that going on. And I hope I'm not being a gigantic pain -- but I will not see this place fail. It's not for everyone -- I realize that -- but I don't want anybody to say, 'Oh my God, I never knew.' I don't want anybody to say, 'I was gonna join.' I don't want anybody to be that guy. 'I was going to join the Y, I just never got around to it. I was going to go ice skating on the Empire State Plaza, I just never got around to it.' I don't want anybody to have to say that about this place." The club is in a membership drive. They're hoping to boost membership from 170 to about 250. Memberships range from around $65 - $175 per month. You also have to spend a $30-$100 minimum on food and drinks each month, depending on the type of membership you purchase. You can check the building out without a membership at the club's free 1st Friday events. On June 13, it's hosting a Pinksterfest celebration ($50) from 6-8 pm with readings from books that illustrate the arc of Albany's history. Among the readers lined up: Ed Dague and Paul Grondahl. The club looks awesome and is right up my alley. You also, if I'm not mistaken, get reciprocal rights at other clubs across the country. The thing that has always held me back from joining a club is the dress code. Colleen, if you're listening, here are my questions. What's the dress code? 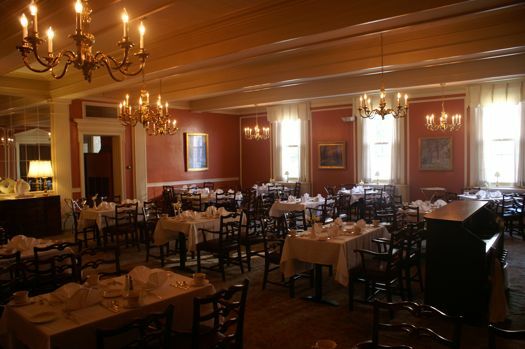 Are the dining rooms and bar open weekends? And most importantly, does the bartender make a mean old fashioned? First, you are right about reciprocals, some 120 Clubs around the country, including several in NYC. The Grille Room (downstairs) is even more relaxed. Not sloppy, mind you, just relaxed. No ball caps, let's put it that way. Finally, I can't personally vouch for the quality of the old fashioned, but I have heard that the Maker's Mark Manhattan is to die for. And there's quite a Sidecar crowd. We're even working on a Pinkster cocktail for 6/13! 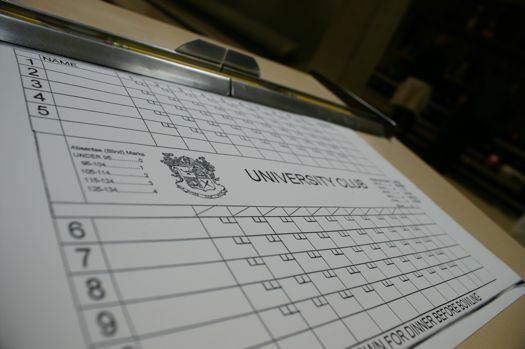 I would be happy to replicate the AOA tour for anyone who's interested in learning more about the U. Club. Please contact me thru the email address in the link. Thanks for your interest! It looks great, and I'd go for it if I had the money to burn. 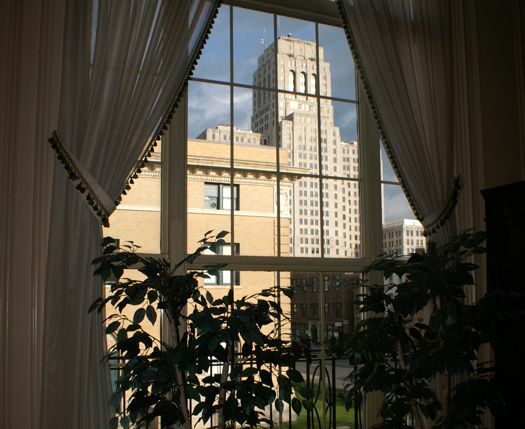 Until that time I get something of the same atmosphere from being a Mason and using the massive old Masonic Temple down below city hall. Same sense of grandeur (maybe even more) though the dining facilities aren't nearly as exclusive- and alas, no bowling alley. (Two pipe organs though). The club looks like a lovely hidden gem! And it seems to have an abundance of potential. But I'm with Erik when it comes to the dress code. I'm no fashion slouch nor would I ever go anywhere inappropriately dressed, but I'd also have little interest in a seemingly pretentious dress-code locale. Call it pretentious, call it what you will ... I was just watching a show on the History Channel about symbolism on the dollar bill and the Masonic connection ... there's drama and conspiracy theories wherever you want to see them. A club's a club -- some have arcane membership rites, others ask that you don't show up in shorts and a tee shirt. 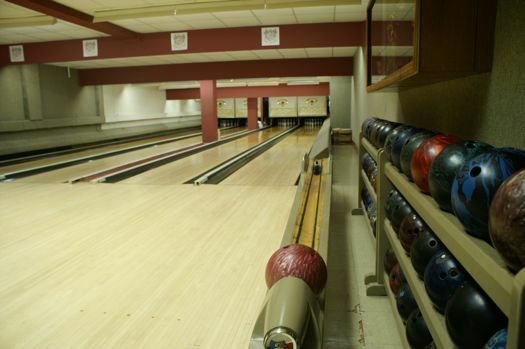 Like I said, it's not for everyone, but I encourage anyone who thinks it might be "up their alley" -- bowling pun intended -- to call 518-463-1151 and ask for more info. I admit that my first thought was how irrelevant an institution like this seems in 2011. Both exclusive (the University aspect) and yet not exclusive enough. 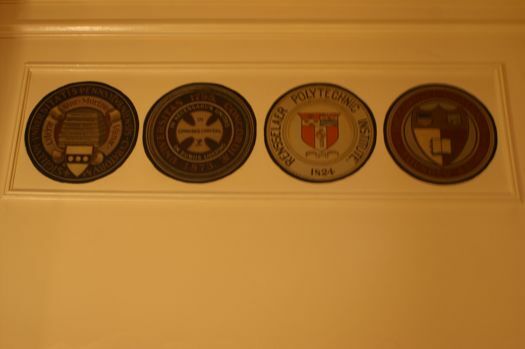 Most of the people I know have gone to college, whether Hudson Valley or Harvard, and that just doesn't seem to be a compelling common reason to join a club. Until I got to the part about there being "quite a Sidecar crowd." Now there is a reason to join a club. There are few bars in the Capital District where one can reliably hope to be served a decent Sidecar and it is edifying to know there is a local institution upholding the standard of that fine libation..
Colleen and Matt and many others have done a great job keeping this wonderful place alive. This is not your typical stuffy club like others in the neighborhood. You have to look at it and say "How could I make use of this great place?" 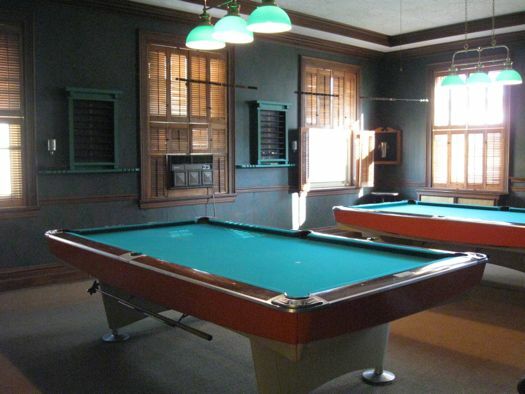 I use it for work meetings, take the kids bowling and to relax when there is entertainment in the bar. 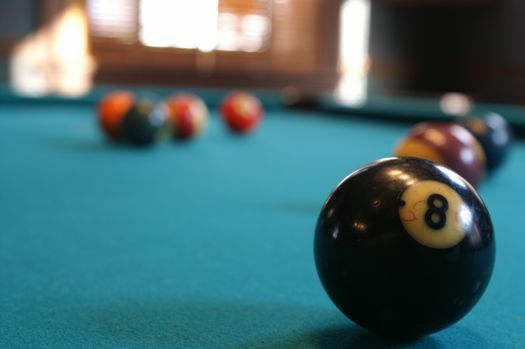 It is a great place for keeping in touch with happenings in the neighborhood and the City itself through all of the events that are held there. It's worth considering. I hear that there's a reduced rate for residents of Center Square. Hmm...the bowling alley with the magic beer bell nearly sold me. Is there a sort of membership info "flyer"? And how often do you have membership drives?